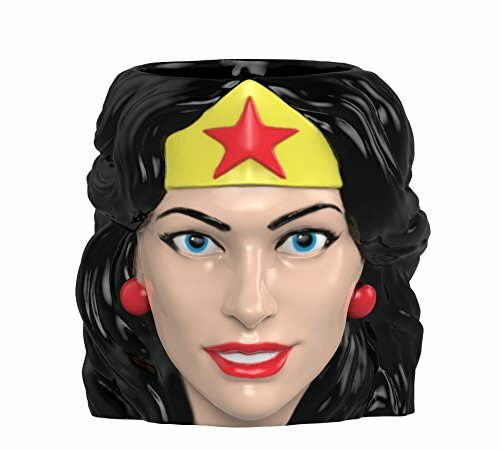 Zak Designs WWNF-8511 DC Comics Coffee Mugs, Sculpted, Wonder Woman is currently selling at $10.98, which is its normal price. It has a lowest price of $10.98 and is selling within its usual range. Price volatility is 0.15% (meaning it does not change often), so you might have to wait a while for the price to drop. Until then this is a recommended 'ok deal'. The current deal is also the best price on this item over the last month. 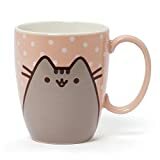 Compare the current price, savings (in dollars & percent) and Buy Ratings for the top Novelty Mugs that are closely related to Zak Designs WWNF-8511 DC Comics Coffee Mugs, Sculpted, Wonder Woman. Here is how Zak Designs WWNF-8511 DC Comics Coffee Mugs, Sculpted, Wonder Woman compares with other leading Novelty Mugs. 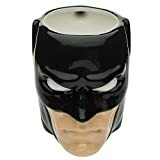 This likeness is hand-painted and made of ceramic, so it holds heat well to keep drinks warm. Use it every day to add a little fun to the morning routine, or put it on a shelf to admire. This mug is BPA free. Hand washing is recommended, do not microwave. FeaturesCommitted to safety - 100% BPA Free.It's a great gift, collectible, and keepsake, with an enduring design that will appeal to anyone.Other sculpted coffee mugs are also available from Zak Designs.Handwashing is recommended to preserve the finish. Do not microwave.